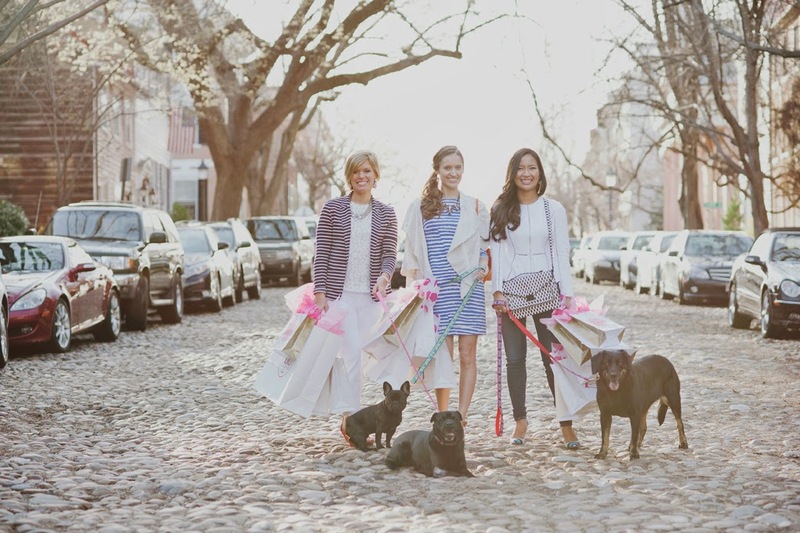 I am SO pleased to share with you Cobblestone Runway - a beautiful lookbook/catalog that I was fortunate enough to be asked to be a part of for some of the best shops in Old Town, Alexandria, VA. Please take a look, share it, and let me know what you think! I'll be posting some behind-the-scenes images tomorrow. Tip: Hover over the image and then click on the arrow to view the next page or use your left and right arrow keys. Bishop Boutique, Zoe Boutique, The Dog Park, Sugar House Day Spa & Salon with help from Spicy Candy DC. Special thanks to The Morrison House Hotel, Jackson 20, Hotel Monaco, Suzanne from Bronzed Berry. Blogger\models: Wendy from Old Town Home, Rachel from My Fair Vanity & Bryarly from Everything That Flickers. Puppy models: Lulu, Britta, Merci Faye, Haro, and Darling. Haro and Darling are available for adoption! Design & Layout by:Bryarly from Everything That Flickers. Cobblestone Runway was made possible by support from the Alexandria Marketing Fund.